Susumu Okubo, emeritus professor of physics at the University of Rochester and recipient of the American Physical Society’s J. J. Sakurai Prize in Theoretical Particle Physics, died on July 17 at the age of 85. 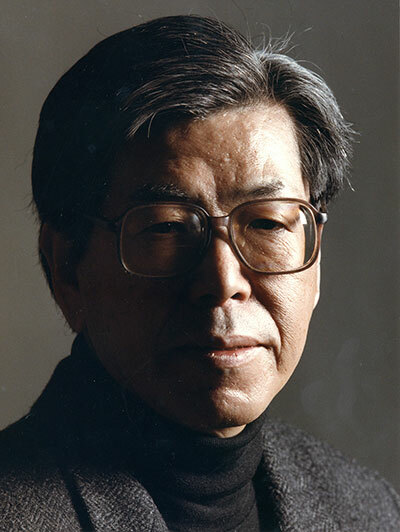 Okubo, a Rochester alumnus and faculty member since 1964, was internationally known for his groundbreaking investigations into the patterns and decay rates of fundamental particles and symmetries of the universe. Okubo is particularly noted for the expression of quantum properties of subatomic particles through the use of the SU(3) group, from which the quark model of hadrons was developed. Among his most celebrated results is a sum rule, called the Gell-Mann – Okubo mass formula, which accurately accounts for baryon masses. For this, among other important results, he won the Sakurai Prize in 2005. In awarding its prize, the most prestigious in the field of theoretical elementary-particle physics, the American Physical Society referred to Okubo’s demonstration that CP violations, a phenomenon where a particle’s “mirror image” does not behave exactly as a mirror image should, permit partial decay rate differences in the two “mirrored” particles. His research provided pivotal insights into the quark model of matter, upon which the Standard Model of elementary-particle physics is built today. He also advanced the understanding of the baryon asymmetry of the universe; Andrei Sakharov, who led this development, credited Okubo in a poem for his own major breakthrough. Okubo received his bachelor’s degree in physics from the University of Tokyo, Japan in 1952, and his doctorate in physics under the supervision of David Feldman from the University of Rochester in 1958. After a year of postdoctoral research, he left for the University of Naples, Italy, and the European Center for Nuclear Research (CERN) in Switzerland, to extend his work in particle physics. He returned to the University of Rochester in 1962 as a senior research associate, and was promoted to full professor in 1964. He is the author of the book Introduction to Octonian and Other Non-associative Algebras in Physics (Cambridge University Press, 1995), and coauthor with Ashok Das of Lie Groups and Lie Algebras for Physicists (World Scientific Press, 2014). He was also awarded the Nishina Prize in 1976 from the Nishina Foundation in Japan for his contributions to particle physics and the Wigner medal in 2006 “to recognize outstanding contributions to the understanding of physics through Group Theory. He was a recipient of Guggenheim, Ford Foundation, and NSF fellowships, and was Fellow of the American Physical Society, and a member of the Mathematical Association of America. He is survived by his wife, Mary Okubo, daughters Sylvia Josh and Susan Sebring, granddaughters Jessica Josh and Catherine Josh. The University flag will be lowered Thursday, July 30 in memory of Susumu Okubo.